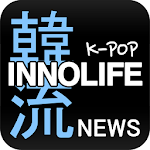 [INNOLIFE] has been providing online business and also supporting the cultural interchange among Korea, China and Japan based on http://www.innolife.net and http://www.innolife.com for the last 10 years. It has been providing all the contents relating to entertainment and culture which have been happening in Korea. It has been standing tall as a leading company for a Korean wave by introducing the contents of good quality such as all kinds of entertainment, K-POP (Korean pop), and culture that have been happening for the last 10 years in Korea and by exporting Korean culture and products to the world market. [INNOLIFE] is the total portal site which can meet the right to know of the visitors and can also work in perfect harmony with the visitors in any situation.